13 25. 26. 27. 28. 29. 30. 31. 15 08. 09. 10. 11. 12. 13. 14. Please choose a month, a week or a day to list events. Use the arrows to switch to previous or next month and year. We like to add your events free of cost to our event calendar. 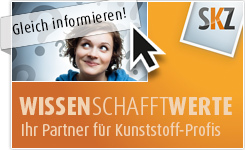 Please send all information about your event to info@plasticker.de or give us a call (+49 2131 766741). If you want to have several events listed please use the Excel template and send the table back to us by email. Please understand that we can only list events related to plastics industry. Organiser: Deutsche Gesellschaft für Materialkunde e.V. If you seek trade representatives or agencies at home and abroad, or would like yourself to offer trade representation, then you will find the optimum area for it here.